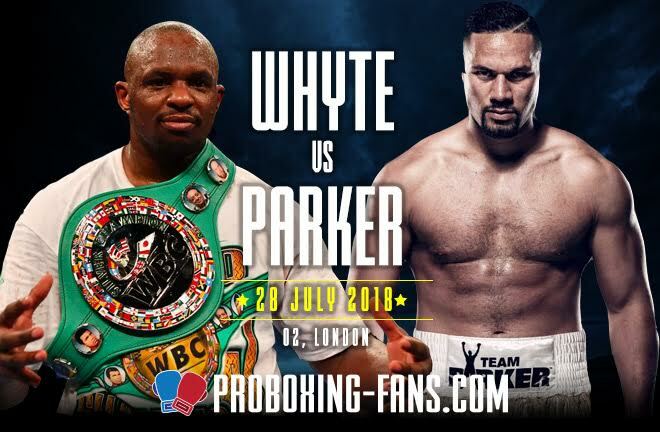 On Saturday, July 28, live on Sky box office from the O2 London, ‘The Body Snatcher’ Dillian Whyte (23-1, 17 KOs) faces the New Zealander Joseph Parker (24-1, 18 KOs), in a much anticipated heavyweight showdown which will put one fighter in contention to go on to bigger and better things. With so much at stake for both fighters, this can potentially be a contender for fight of the year. It is evident both fighters possess power but what makes this fight so fascinating is what is at stake for both fighters. 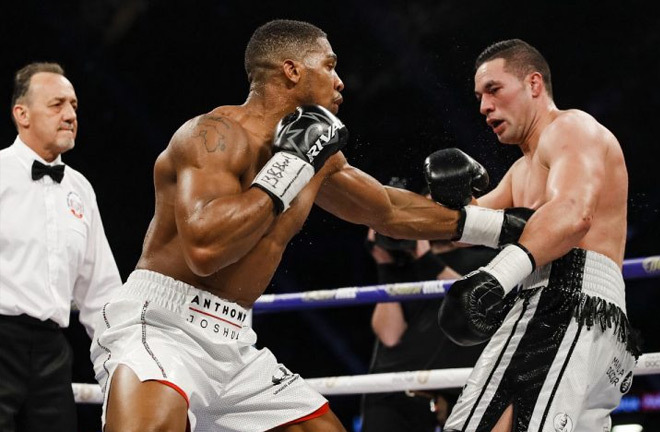 Joseph Parker last defeat came back in March against Anthony Joshua, which resulted in him losing his belt. The question is how will Parker respond to that defeat – will he show desperation? Or will he be composed, waiting to exploit gaps left behind by Dillian Whyte. Furthermore, the New Zealander might have to produce one of the biggest hits of his career if he is going to stay near the top of the heavyweight charts and put his name back in contention. Joseph Parker in his last fight kept things simple and did not cause any real threat to Anthony Joshua. Dillian Whyte speaking on gloves are off, labelled Parker performance that night as ‘cowardly’. It has been argued the referee unfortunately did not help matters on the night, separating both fighters when they got close to one another. Parker proved he has a chin but the question is whether Whyte will be the first to put him down? Parker admitted he made mistakes in his last fight and has promised he has learnt from those mistakes. The 26 year-old promises this time round he will not be as cautious and he is coming to knock Whyte out. 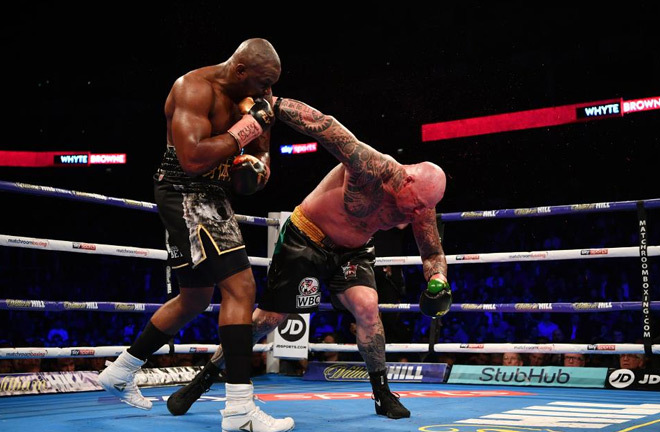 On the other hand Dillian Whyte in his previous fight produced a brutal knockout against Lucas Browne back in March. The Brixton man has come along way from his defeat to Anthony Joshua and is one of the most underrated fighters. It has not been an easy road for Whyte over the years, who has had to work hard to be where he is today. This is a fight both fighters cannot afford to lose, if they want to be up there fighting with the best. One would assume that this is Parker’s last shot to get back into contention within the heavyweight division. Whereas, his opponent The Body Snatcher came off an spectacular knockout victory and is hoping for the same come this Saturday night. The 30 year-old (Whyte) has made no secret of his desire of a rematch with Anthony Joshua, but is fully focused on getting the job done on Saturday night. Its fair to say the loser of the fight will likely say goodbye to another opportunity of fighting for on the world stage again. My prediction for this fight is that I see Dillian Whyte aggressive style and power being too much for Parker on the night. I see the fight ending between rounds 6 to 8. However, I will not rule out Joseph Parker, he will look to avenge his loss against Anthony Joshua, the only defeat on his excellent resume. The New Zealander knows this could be his last opportunity and I expect him to come and meet Whyte in the centre of the ring come Saturday night. Moreover, if this fight goes the distance there is something seriously wrong. Fight fans what are your thoughts? Let us know in the comment section.